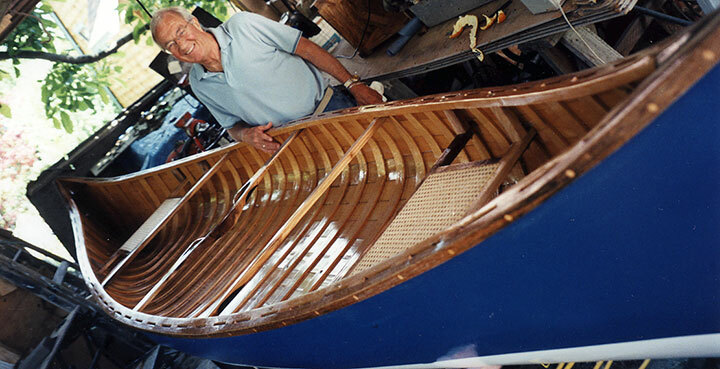 Connie Nelson sent in a report of the construction of the canoe LOUISE. In 1998, her husband Earl was forced into retirement for health reasons and needed a project. 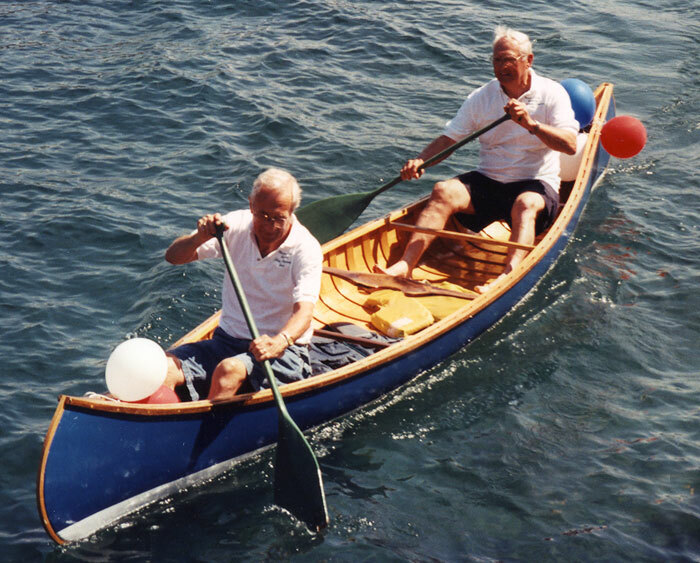 During his recovery, she bought him a copy of WB magazine, which contained plans for building a canoe (issue#141), and Earl was hooked. Despite not having built anything since wood shop class in school 50 years earlier, he eagerly bought tools and materials and got started. But the project bogged down and without the help of a friend, Lee Smith, may have never been completed at all. 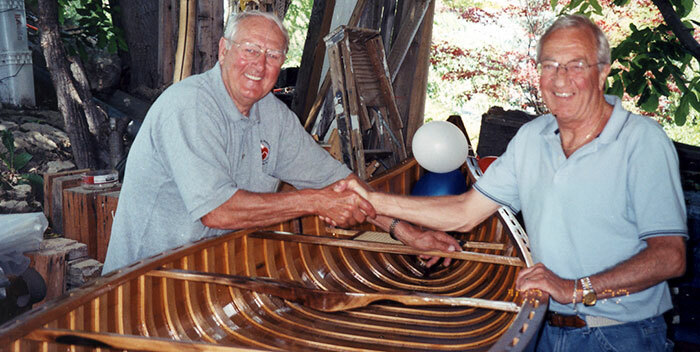 They moved the canoe to Lee's garage, and spent the next year building the canoe, for planned launching on June 8, 2003. Despite numerous setbacks, and a few more health issues, LOUISE was launched as planned on a lovely June 8th.